There are 1 cat videos tagged with alien. 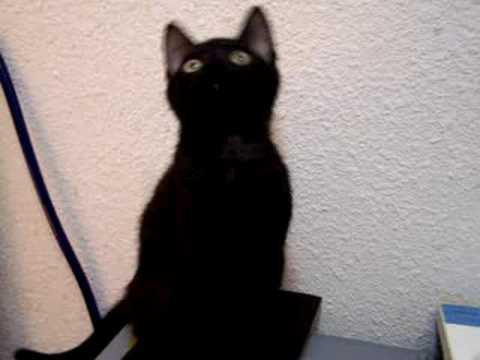 This cute black cat sounds just like an alien when he chatters. Chattering happens when a cat sees some prey, like a bug or bird.